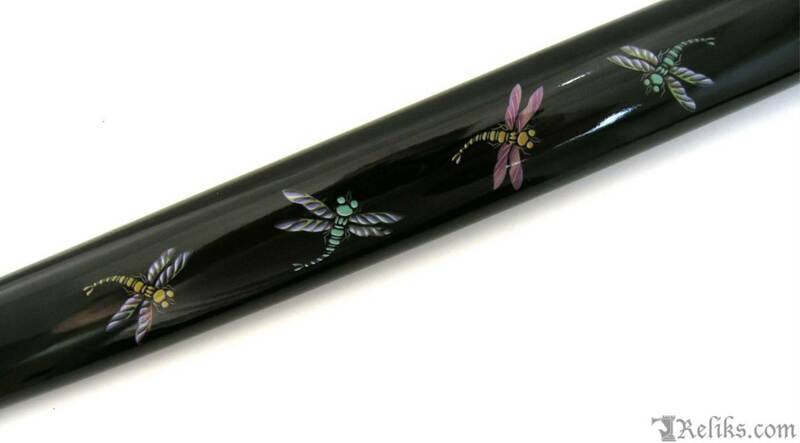 This starter katana has a traditional Japanese dragonfly theme which can be found printed on the saya. 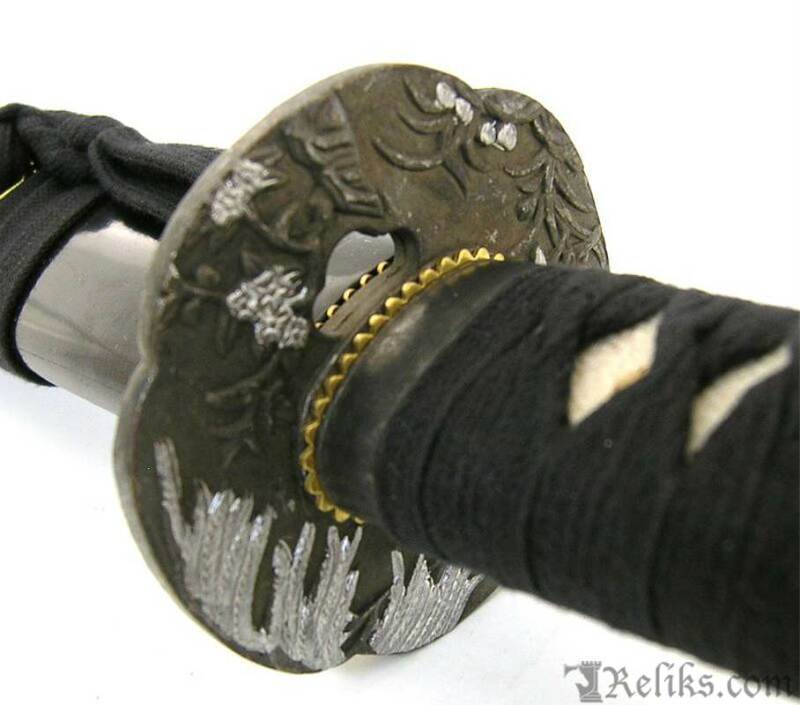 This beginner piece makes no claims of historical accuracy but has a tempered high carbon steel blade, double pinned handle through a traditional length tang. 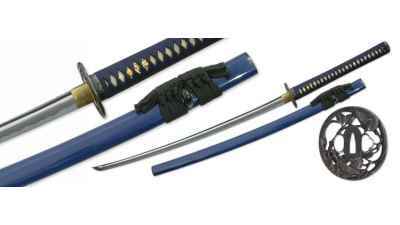 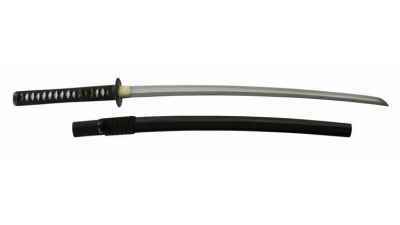 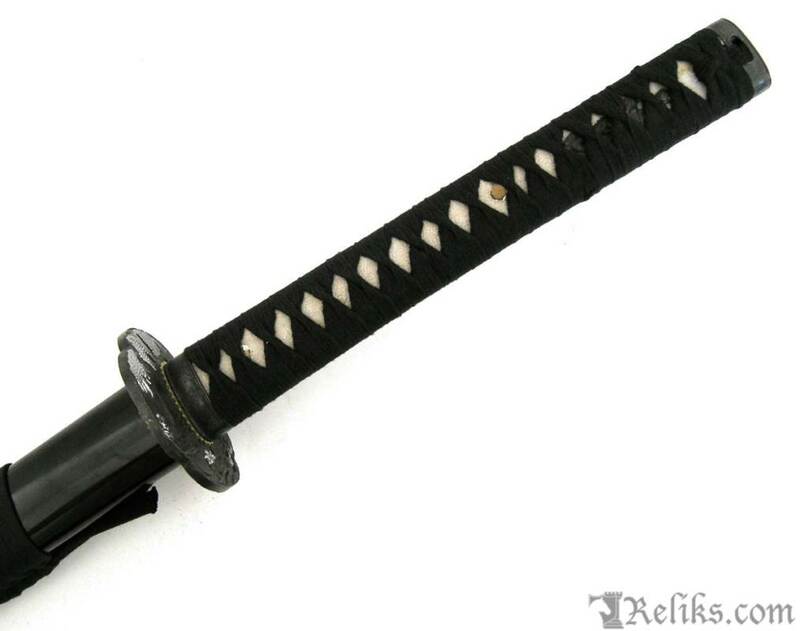 If you want a sword for learning how to cut that won't cut into your wallet this is one of the most economical functional katana on the market. 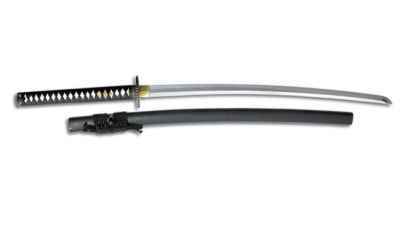 With budget in mind this piece uses a 1045 high carbon steel which is a little softer than the higher end katana but is still suitable for soft targets like tatami and the favourite target of the back yard warrior “pool noodles”.